With millions of dollars at stake, walking away isn’t an option. 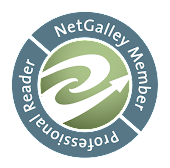 Emmett Atwater agrees to leave Earth behind when Babel Communications offers him a fortune. The catch? He has to launch into deep space to get it. One of ten selected recruits, Emmett boards the company’s spaceship and sets course for a planet that Babel has kept hidden from the rest of the world. Before long, Emmett discovers that all of Babel’s recruits have at least one thing in common: they’re broken. Broken enough that Babel can remold them however it pleases. Every training session is a ruthless competition where friendships are tested and enemies are made. Each recruit must earn the right to travel down to the planet of Eden—where they will mine nyxia, a substance that has quietly become the most valuable material in the universe. But Babel’s ship is full of secrets. Secrets about the volatile substance they’re hoping to mine, about the reclusive humanoids already living on Eden, and about the true intentions for the recruits. Emmett will face the ultimate choice: win the fortune at any cost, or find a way to fight that won’t forever compromise what it means to be human. Incredible! 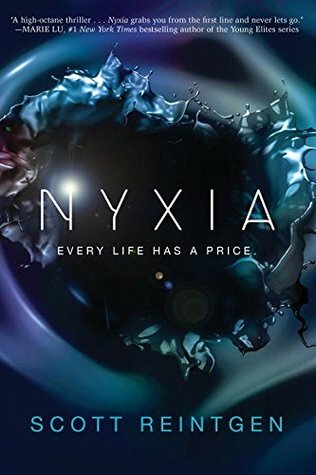 I have to say that NYXIA is the best book that I have had the pleasure of enjoying in 2017. It is a coming of age story about one teenager, Emmerr Atwater, who has agreed to leave Earth behind so that his mother can get the medical treatment to survive liver cancer. When he undertakes this journey, he is a street smart punk from Detroit who is pretty sure that he will be one of top contenders that will be sent down to Nyxia. He sees all the others as competition and enemies. He will discover some are enemies but others are friends that will help save his sanity and his life. This book swept me away! I enjoy character driven sci-fi and this book is top rate. If anything, it reminded me of some of Heinlein's books. It is all about growing up and learning about one's self while competing with both friends and enemies. I really feel that any of my readers who enjoy books focused on the character and how they grow and change will love this book. There is violence but there is also friendship and love so I would recommend this book to readers of all ages.